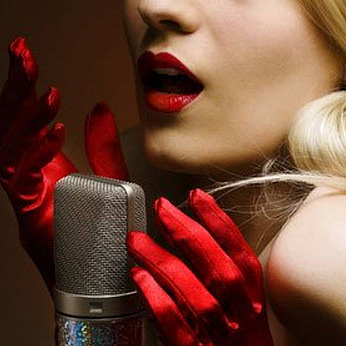 Blog > How to impress a person using your voice? You do not need to artificially induce the feelings of the people, say a lot of compliments and infinite jest. One phrase said in a pleasant voice, can be much more effective. You went to the sites like chatroulette- good. Now, your main task is to get in touch with someone. Begin to speak first, and show your interest. In fact, people like to be with them who make contact. You've come to the video chat for conversations, isn’t? Well, your partner, too. He is already opened for communication. Of course, it may cover different feelings - skepticism, indifference, interest. All you need is to be on the same wavelength. The caller is set aggressive? Not scary. Put yourself in his place and feel the situation. Do not become aggressive, but communicate with a similar energy, be active and be ready to repel the attack. Think about whether video chat or real life, what the most valuable in communicating? When you are listen to. Empathize with your audience and you will become a brilliant conversationalist. When you feel the mood and energy of other person, listen to his voice, know how to remain silent is a bond. If a person empathizes with the other party, it will automatically adjust your communication for him. For example, if a person is upset - he will automatically become quieter say, in a low voice. Shouts of: "What a beautiful day today," will not cause anything but bewilderment. So if you want to get close to interlocutor tune in to his inner world with the help of energy, body language, breathing and, of course, the voice. Once you have established this relationship - your partner will follow the example of your voice. Your voice must be pleasant and nice and have positive impact. Try to be different; change pitch of voice, its volume or rhythm. Your voice must express your inner energy, emotions and feelings. Empathize, try to be in harmony with listeners. And now - forward in video chat and check it in practice. Learn to manage your voice is not such a difficult task as it might seem at first. As soon as person hears your voice, he was influenced by him. Having said you already had an impact on the person you want to or not. You have to do not so much - to understand this impact and learn to control it. Make your voice to change and extend its influence.